Has SoMa become “too good” for poor people? This parking lot at 1036 Mission Street will sit empty for another few years, following TNDC’s decision to abandon a 100-unit project that was approved in 2009. 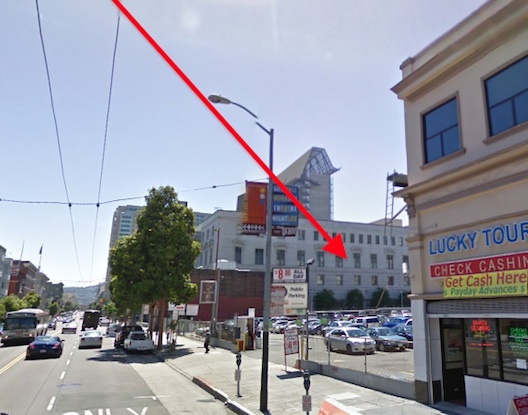 The Mayor’s Office of Housing considers SoMa real estate too valuable for low income housing. Tenderloin Neighborhood Development Corporation’s 1400 Mission Street affordable housing development might very well be the last non-profit housing we’ll see here in South of Market for a very long time. The Mayor’s Office of Housing has put out the word that SoMa real estate is too valuable for any more of these low income projects. MOH has withdrawn support for two other TNDC projects, a 31,000 square foot parcel at 5th and Howard Street, and 1036 Mission, where a 13-story, 100-unit building would have filled an empty parking lot, with about 20 percent of the units allocated for the homeless and the remainder set aside for very low-income families. 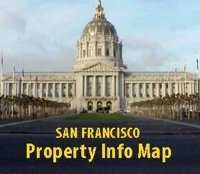 The Mission Street site was purchased with funds allocated from the Rincon Hill Plan Area under an agreement brokered by former Supervisor Chris Daly. SoMa has always been welcoming to affordable housing because of the broad mix of income levels throughout the community. But the economic recovery, coupled with the city’s efforts to lure more high tech companies and employees into the neighborhood, has set off a speculative boom that threatens future low income housing. The nearby Central Corridor planning process envisions turning over dozens of blocks currently filled with service and light industrial businesses to future Twitters and SalesForce.coms. Imagine SoMa becoming too good for any more poor people! Supervisor Jane Kim’s office is still struggling to craft trailing legislation to implement the Western SoMa Community Stabilization Policy, an effort that’s part of the community-planning effort, that was supported by a symbolic vote of 11-0 at the Board of Supervisors. The proposal would ensure that future market-rate development be tied to controls that maintain a balance of affordable housing and good working class jobs. Change can be good, bad or ugly. Prior posts here discussed how the nightclub industry in Western SOMA is trying to eviscerate the community based rezoning that attempts to keep a diverse mix of land use. Yet, the people living here seem powerless to stop them. Yes change can be good, bad or ugly…depending on the muscle that forces the change.